With your help, we can impact more children and families in our community. Give today and help our numbers grow! Over 37,000 visitors engage in science experiences in our museum every year. Over 20,000 people are inspired with our Planetarium shows every year. Over 5,600 individuals are educated through our outreach programs every year. Over 4,500 school children visit us to learn through our science experiences every year. Creative learning begins at the Eugene Science Center! We want all of our visitors to be excited about learning, inspired to discover more, and empowered to change their communities for the better. With your contribution, the Eugene Science Center can fulfill its mission. All financial contributions to Eugene Science Center are tax-deductible and support its mission. Your affiliation with the Eugene Science Center not only provides a wonderful opportunity to assist children in their growth, development and education, but can also help boost name recognition and exposure for your business, improve the services you provide to your employees and increase opportunities to reach families who may need your business services. All corporate sponsors are included in our newsletter reaching thousands of area families through the mail, on Eugene Science Center premises, or at community events. Your business benefits from visibility in the community and additional advertising. Your customers, employees, and their families, or business investors can benefit from Museum passes and family memberships, allowing your business enhanced relationships with those who matter most to you. 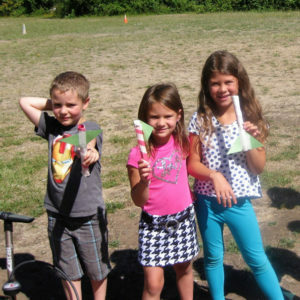 Affiliate with the Eugene Science Center and help provide funds to keep children’s aspirations high and their brains busy!